Welcome back to class everyone! We hope you celebrated World’s Oceans Day with Ellie and Edmond yesterday! If not, make sure you check out the post and the coloring sheet! Today’s word is a big one- so let’s get ready to learn! 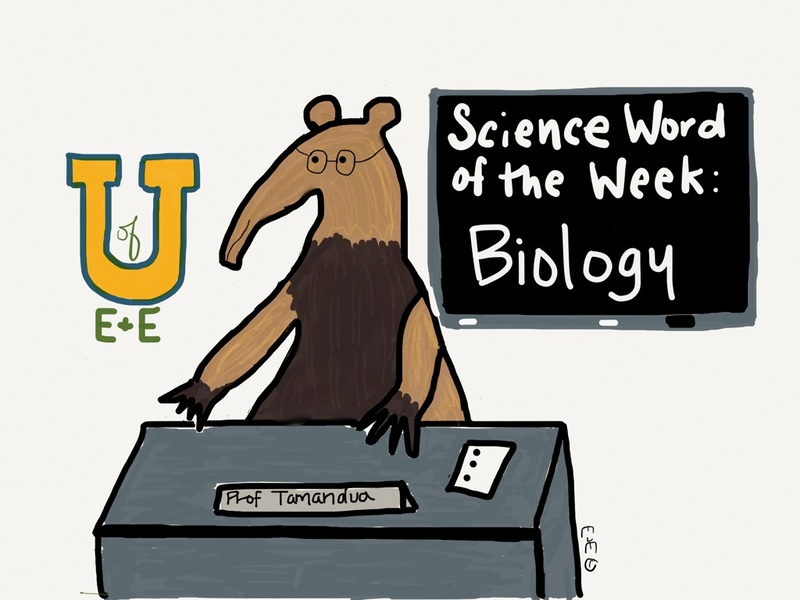 Today’s word is Biology: the study of living things. This includes all five kingdoms of living things on our planet. Those are animals, plants, fungus, protista (single and mutilcellular algae and flagella and monera (single and colonial bacteria and blue-green algae). Whew that is a mouth full. 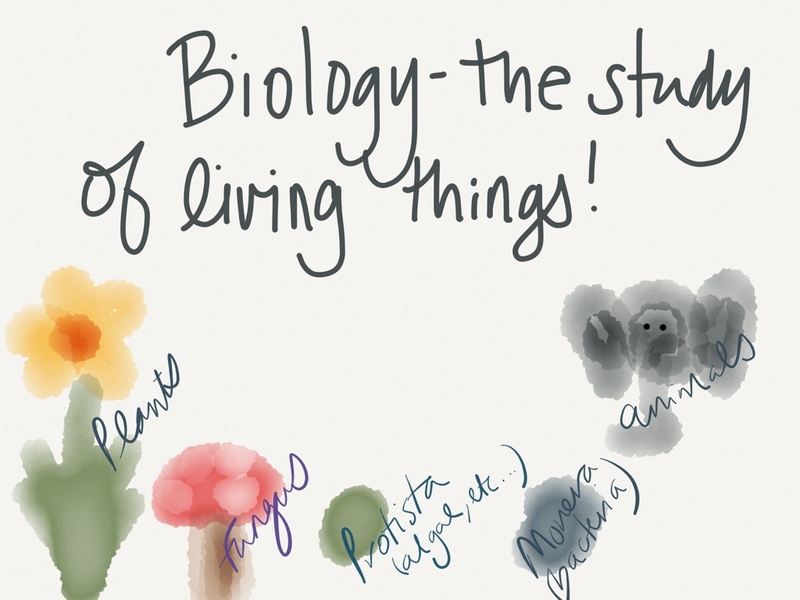 Biologists- the scientist who study living things specialize in all of these different kingdoms. Some biologist study one kind of fungus or just one species of animal, where others study whole groups! Biology is one of the best kinds of sciences out there! Do any of our students want to be biologist? Yes! I would like to be a biologist. I would like to study plants and fungus. And by “study” I mean I would like to eat them.